vibrating plates from 170 kg. vibrating plates from 400 kg. vibrating plates from 900 kg. IMI models: best quality, experience, trust, convenience and support. 40 years experience in the field. Since 1975, specialized in design and manufacturing of hydraulic breakers and other demolition and excavation equipment. we always think about our customer satisfaction and our reliability towards them. Our products are high quality and very durable in time. customers in order to give them the possibility to continue working without interruptions. Fast and constant service support. constantly trained on the job to enhance performance. An always updated team is more competent and efficient. 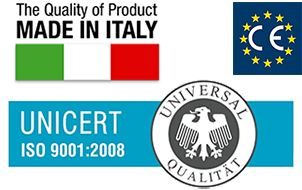 Choosing IDROMECCANICA means quality results and high quality Italian parts. We design, manufacture hydraulic breakers and other demolition equipment since 1975. Our spare parts are designed and tested to be easy to mount and incapable of damaging any other components of the hydraulic breakers. The ISO-9001-certified quality management system grants quality of the products in time.